80 people from 28 countries all with the same goal. To protect Antarctica through sustainability and new thinking on climate solutions. 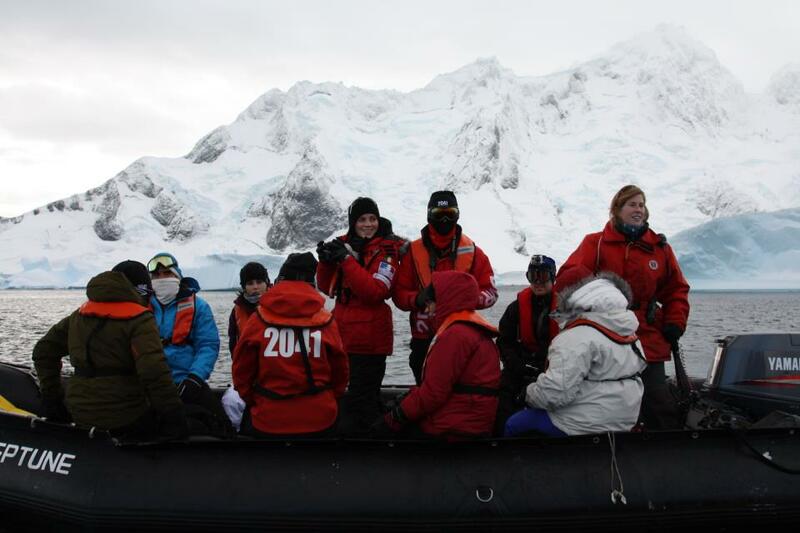 The past 3 weeks in Antarctica with 2041 and Rob Swan have been truly inspiring. Entering the 7 metre swells of the Drake Passage, I thought I knew how beautiful the Antarctic would be- I have spent my life reading about the great explorers Shackelton, Scott, Amundsen, and I have watched so much footage over the years but nothing could prepare me for the first sighting of Antarctica. Such a silent, vast, desolate and achingly beautiful place. While we there, Antarctica pulled out all the stops dressed in her Sunday best. 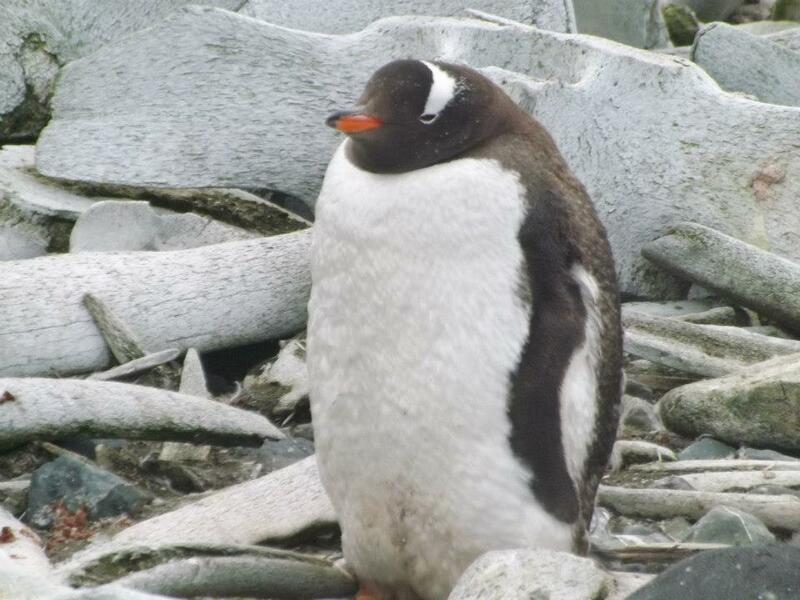 On our first landing on Mikkleson Harbour on the Peninsula- the sun shone and hundreds of gentoo penguins greeted us. The penguins are quite simply hilarious. They are clumsy, curious, and have such busy little social circles constantly chasing, conversing and tripping over each other. We travelled south through the Lemaire Channel with peaks rising over 1km and on to Neko Harbour, a stunning place- sitting on a peak in the silence, a large piece of glacier calved-where massive sections of ice break, and tumble into the ocean. it sounded like incredibly strong thunder. We camped in bivvy bags under the Milky Way on Ronge Island, visited Iceberg Graveyards, saw gentoo and chinstrap penguins in abundance, fur and leopard seals going about their business-not caring that we were there, families of orcas, minke whales and a humpback at arms length- massive tabular icebergs prematurely broken from ice shelves due to increases in temperatures that in Rob Swan's words “just shouldn't be here”. Those words echo the feeling that Antarctica gives you, I really was honored to witness her in all her beauty. 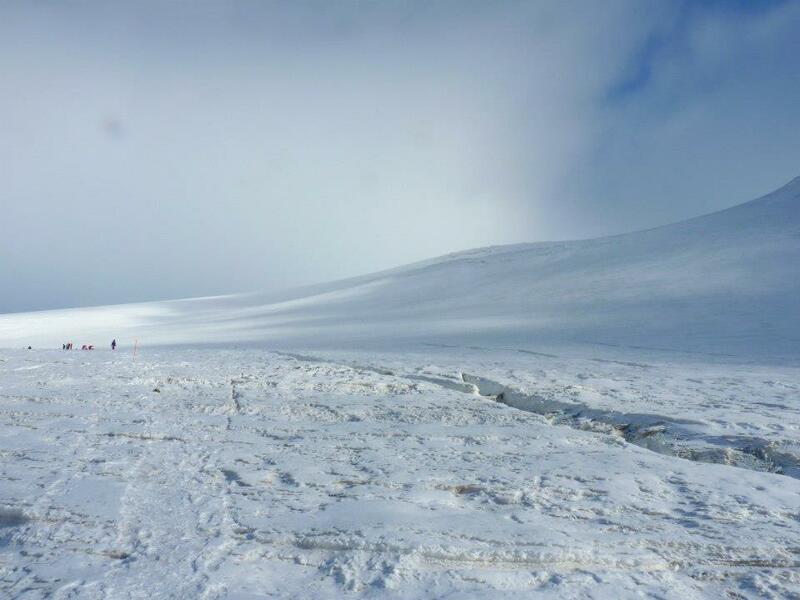 It is very difficult to process what your eyes are seeing when you are there-you know it is real but somehow the magnitude of this frozen land cannot register fully. Protecting the continent and her inhabitants is an urgent necessity. Second to only the Antarctic itself, are the magnificent diverse group of people I met down there. Rob is a fascinating character with an abundance of energy and drive- he is quite self deprecating in a humorous way, but the amount of work he has done to raise awareness of Antarctica is admirable. We had the honor of having Gareth Wood onboard also. Gareth was a member of Rob's expedition 28 years ago. He was in charge of logistics, and after their boat Southern Quest sank before they could leave the continent, Gareth volunteered to stay an extra winter at their base in order to fulfill the promise the team had made to leave no evidence of their presence on Antarctica. He spent over 700 nights in Antarctica and is one of the only people in history to have survived a leopard seal attack during that time. 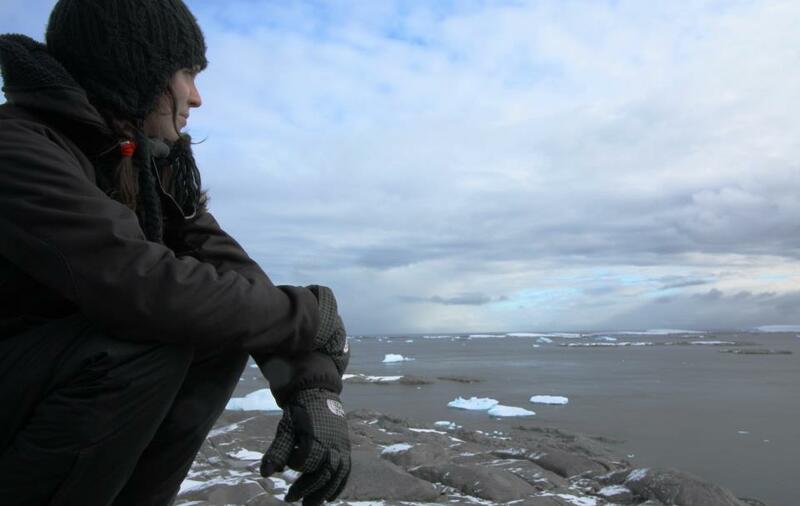 This was the first time he had been back to Antarctica since that Expedition. Gareth is a true leader. Rob's vision to sit young leaders with large industry representatives at the same table, to work out projects and plans for engagement in solutions for our future is admirable. We had young people from 28 diverse countries from Oman to Botswana onboard, as well as teachers, activists, journalists and entrepreneurs. The panel of industry leaders included the vice president for co2 policy at shell and his team, a ventures investment manager from BP International, renewable energy engineers from N-Power, a team of management consultants from Bain and Company, and Journalists from Sky News who covered the trip. The Climate Change sessions mostly centered around Energy issues because of the line up. I was skeptical going into the first sessions with large oil and gas industry representatives given our surroundings. I found the team to be very frank and realistic about their companies actions on Climate and renewables. Most were in agreement that more large scale funding into research and development of wind and solar technologies will be needed in order to make them profitable and hence viable alternatives to fossil fuels. Energy storage and transfer was another recurring topic especially in regards to wind and tidal energy. Cleaner practices within the oil and gas industries and carbon capture and storage was also high on the agenda. John Mac Arthur announced two massive commercial scale projects by Shell in the UK two days after our return, one at the Drax Power Station in Yorkshire and one at the Goldeneye oil field in the North Sea. We examined energy consumption in relation to energy production also. Awareness building of consolidated consumption should be central to sustainability in Ireland. Organisations such as the Smile Resource Exchange are already doing great work in this field, and most of use consolidated consumption practices already in using Ebay or Dublin Bikes. I would like to research and raise awareness of other organisations over the next 12 months in my work. In a setting as extreme as the Antarctic, you cannot help but be amazed at the resilience of the wildlife to the conditions they exist in, and it was fitting that we looked at biomimicry in technological design also. I feel that using biomimicry as a focal point for young people looking at sustainability, will be an engaging and thought provoking subject. 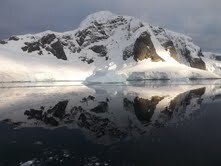 It is impossible to do Antarctica justice in words and pictures. The vastness and scale of the continent is frightening as is her beauty. It is a profound place, not owned by any nation, it has never experienced war, and its inhabitants are as inspiring as the massive peaks and spectrums of colours of it's ice. Antarctica evokes such a range of emotions, from absolute delight that such a place still exists on our planet, to a deep sadness and fear that her future is in jeopardy as a result of our actions thousands of miles away. It is unquestionable that Antarctica needs to be protected, not only for future generations of humans but for the good of the planet. My life has been changed irrecoverably, and I look forward to sharing my story and inspiring other to make positive change in their businesses, schools and communities in terms of sustainability and raising awareness of the protection of our last great wilderness on this planet, Antarctica.